Sundek SunCanvas overlay system is a micro topping ultra thin polymer overlay product that creates a smooth new canvas over top of an existing concrete slab. 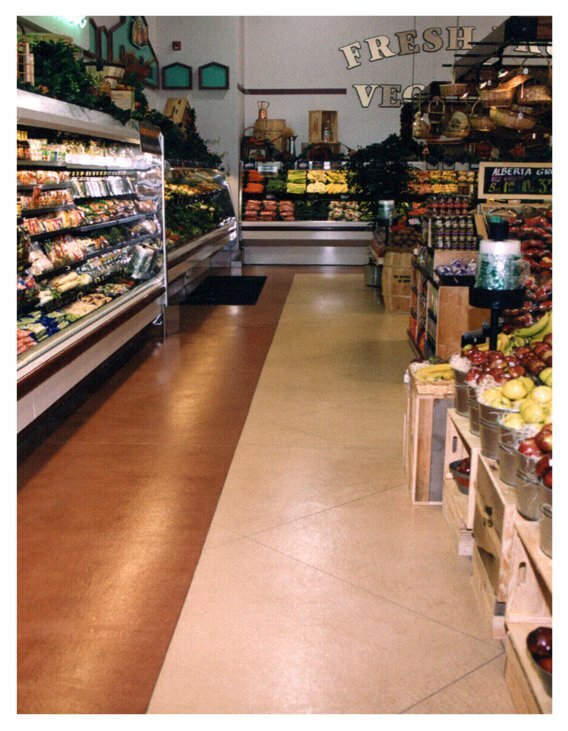 Used in conjunction with stencils, scored and cut patterns and coloration systems, SunCanvas provides a fresh clean slab, and bonds very well to a variety of surfaces including, ceramic, tile, marble, terrazzo and others. 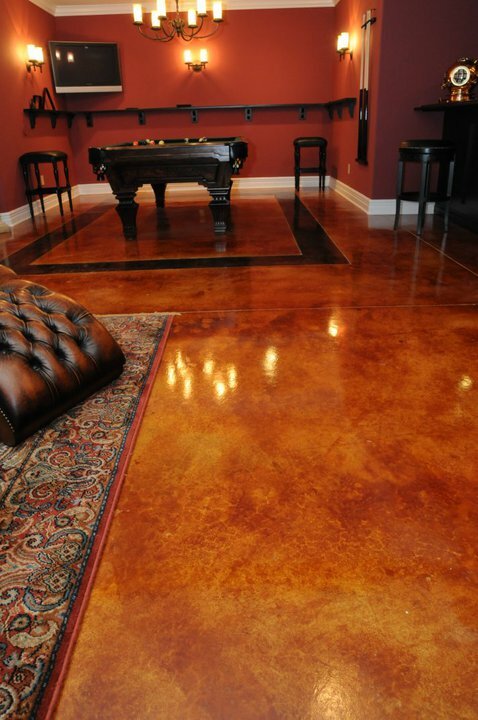 The greatest benefit of SunCanvas is the ability to create a seamless, smooth new concrete surface over top of an existing hard floor surface that is old, stained, chipped or lacking luster. SunCanvas is a great way to create custom finishes, cool designs, and vibrant colors while keeping the look of concrete. 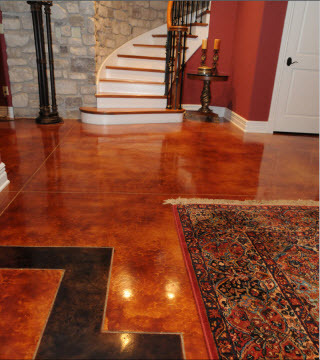 Because SunCanvas is a smooth finish, the system is very easy to maintain, and items that normally get trapped in carpet, tile and grout don’t do so on the seamless SunCanvas system. Maintenance usually consists of a simple dust mopping, sweeping, and the occasional damp mop with a neutral cleaner. Many homeowners, commercial, retail and hospitality spaces choose SunCanvas because of the low cost of ownership and ease of maintenance. 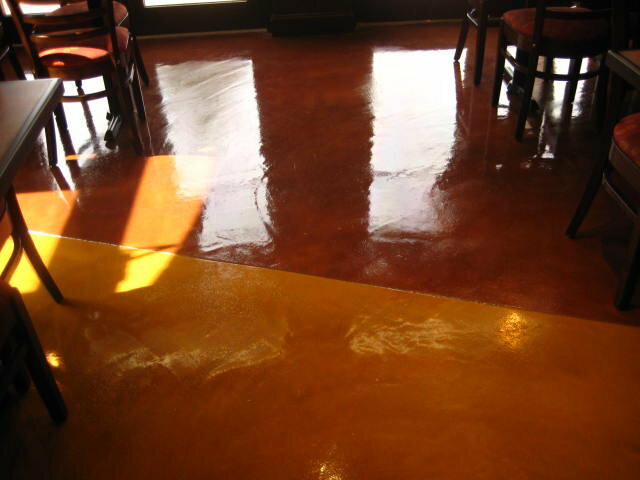 SunCanvas is a great way to revive an old, tired concrete slab for only a fraction of the cost of complete removal and re-pouring. 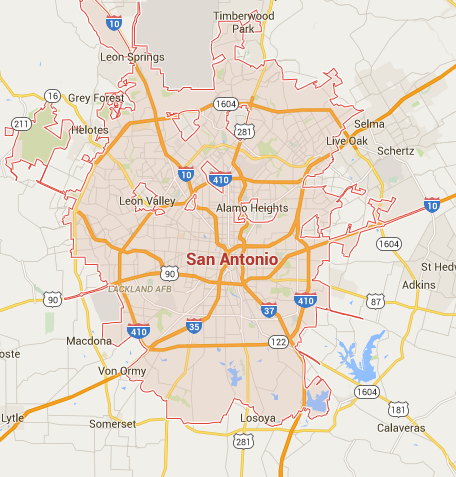 How it’s done: SunCanvas is mixed and applied by SunDeck of San Antonio trained concrete artisans. 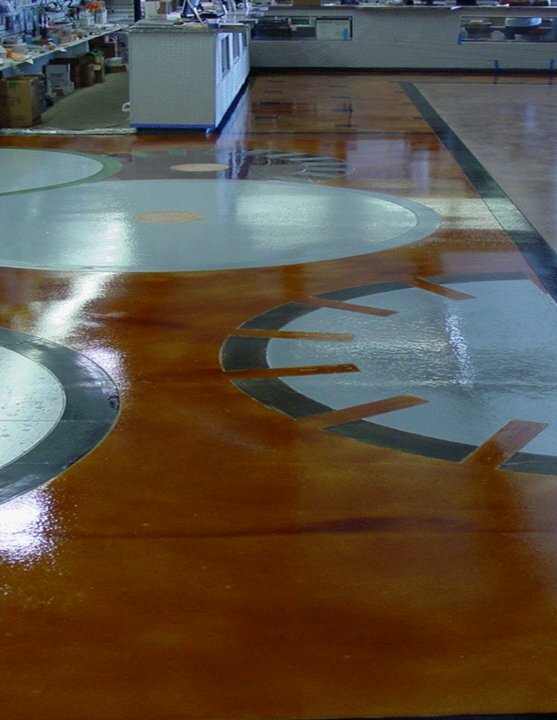 The polymer modified coating system is applied very thin at 1/8″ which gives just enough material to resurface a stained, chipped or coated surface and allows for a fresh canvas for decorating. Once cured the surface is decorated using a Sundek Coloration system, stains, dyes, cut patterns, stencils and other creative techniques. It is then sealed and protected for longevity and ease of maintenance.